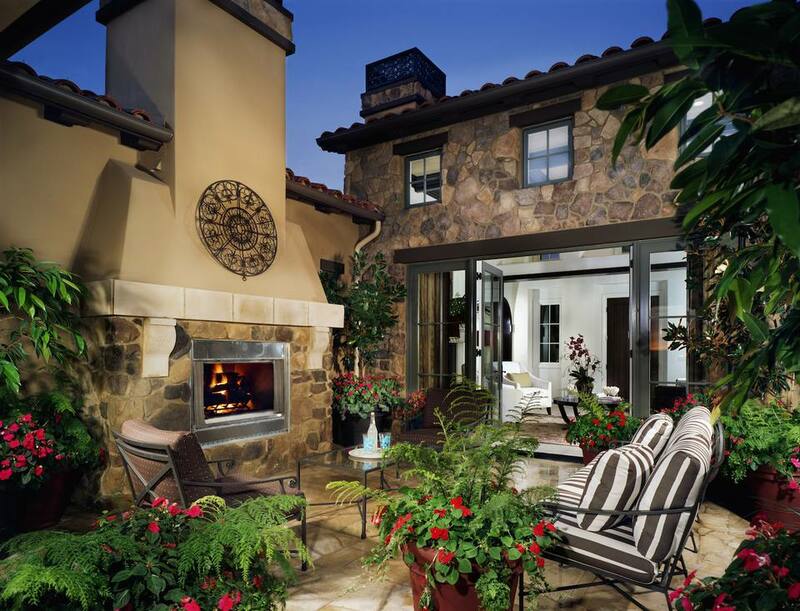 An outdoor fireplace is a perfect buyer magnet for entertaining buyers. It is no secret that buyers love outdoor spaces. In good weather, most people spend more time outdoors than indoors. Help potential buyers imagine how it will feel like to live in your home by staging your outdoor fireplace. By changing a few things, you can give the area a brand new look. Here are some home staging tips you can use to perk up your fireplace. If your fireplace looks old and tired, you may want to replace it before buyers come. The goal is to highlight your home's best assets. Choose one that corresponds with the design of your home. If you have a traditional home, go for a fireplace with an arched shape and stone or brick finishing. It will look at home in your backyard. If your home is modern, go for a fireplace with a clean-cut design. It will look amazing in your backyard or garden. Integrate materials like stainless steel and concrete. An electric fireplace is also ideal for modern homes as it requires less maintenance. It creates endless possibilities for any space. If you live in the Southwest, choose a fireplace with a southwestern design. Southwestern style fireplaces are finished with stucco and decorated with ceramic tiles. If you’re selling your beach house, opt for a Mediterranean style fireplace. It should have a simple structure and its firebox should be adorned by colored tiles. Changing fireplace mantels is another way to update fireplaces. Your fireplace doesn’t have to ooze black smoke for you to clean it. To ensure it stays in good working order, clean it regularly. First, remove the ash with a vacuum. If you don’t have a heavy-duty vacuum, sprinkle wet tea leaves or ground coffee to get rid of the bad smell and to minimize dust. Use a fireplace shovel to scoop the ash and put it in the trash. If you'd prefer call on a professional chimney sweep to clean out your outdoor fireplace. Get rid of light soot with warm water and vinegar. Mix the two and spray the mixture on a paper towel. Wipe the soot and any cloudy film on the glass doors. If your fireplace facing has smoke stains, clean it with a soft brush dipped in an all-purpose cleaner. After you’re through, wipe it with a clean sponge. Be sure to have your outdoor fireplace inspected by a professional from time to time to ensure nothing is wrong. Look to an electric fireplace if you have a covered lanai or porch area that still protects it from the elements. Electric fireplaces don't require as much cleaning and maintenance. Ask your local home improvement store associate or a contractor what brands of electric fireplaces are common in your area. Nothing tells home buyers that a home is well taken care of like a beautiful façade. It conveys the idea that the home offers comfort and relaxation. Mow the lawn, trim branches, and shrubs, tend to the garden and fix cracks in the driveway. Get porch furniture and make it cozy with throw pillows. In the backyard, add appeal by defining activity zones. You can create a dining area, a kitchen, and a relaxing area. Enclose the area to give it a sense of privacy. Pergolas, lattice, awnings, and arbors with vines can screen views of surrounding houses. Some prospective buyers will come to your home after the sun sets. Ensure your outdoor area is well lit to guide them to your house. Clean all light fixtures to make sure they emit as much light as possible and replace dim or burnt out light bulbs. Walk through your interior and exterior home and compare the lighting. When a house is up for sale, it must be bright. Add lighting fixtures to areas that appear dark. If your budget allows, connect both indoor and outdoor lights to a timer. Your home will always be bright and full of light even when you’re away. The move from homeowners only spending time inside has long gone. Potential homebuyers are looking for entertaining areas where they can feel at home in their outdoor home as well. This is why it is so important to stage your outdoor living area. Carry out these tasks and make buyers fall in love with your outdoor fireplace. Add lasting value to your home.